Did you know the average Utah Realtor® sells less than 2 homes per year? Knowledge x Experience = Skill. Call Tony Fantis at 801-541-8806. What’s my Utah home worth? Your home value will be assessed by a full time, experienced Realtor familiar with your neighborhood. 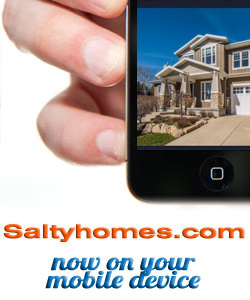 Saltyhomes.com selected some of the best agents we could find, hands down. We currently work with Realtors at Coldwell Banker, Prudential, Ramsey Group, RE/MAX and Fantis Group, a locally owned and operated real estate brokerage. I’m not ready yet. How can I get ready to sell my Utah home? We’ll be happy to swing by and visit. With a thorough walkthrough of your home, we can suggest the easiest ways to get the most money out of your Utah home. I want to learn how to get ready to sell my home! How do I sell my home and buy another at the same time? How much can I afford when I relocate in Utah? That actually depends on many things, but let’s try to simplify it. First, you want to get the best price possible on your new home. Then you’ll apply a down payment. The more you put down, the lower your loan amount…and sometimes the lower your interest rate. Have a Utah real estate question about selling or buying?